Celebrating the 13th birthday, Linode decided to double RAM for both new and existing customers with no addition fee. According to a study by CloudHarmony, Linode is the 4th largest cloud provider to the top 10,000 Alexa websites, following only Amazon, Rackspace, and IBM. Until now, the company has more than 100 employees, over half a million customers and launched nearly 12 million Linode servers. If you are one of Linode’s customers, I think you will have the same feeling with me. Such a high-quality services, I mean both their Hosting/Servers and support. There’s only one point that makes me a little bit reluctant is that they don’t accept Paypal. 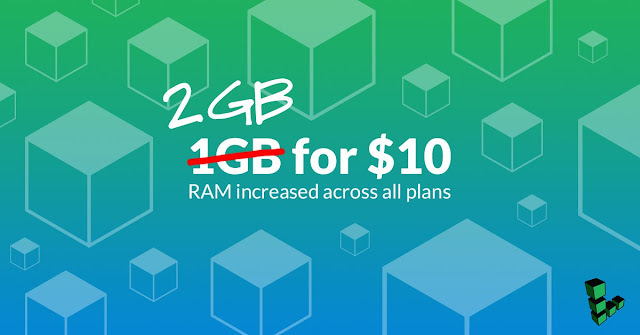 Come back to the 13th birthday celebration, for all of you, existing customers, Linode will give you a free RAM upgrade in just one click. ***Click the upgrade banner at the top of your Linode’s dashboard ,your free RAM will be automatically added. – This upgrade is available only for KVM Linodes. Legacy Xen Linodes will have to first upgrade to KVM before being able to take advantage of the RAM upgrade. – The upgrade is not available for Tokyo datacenter. Hope you’ll have a nice day!